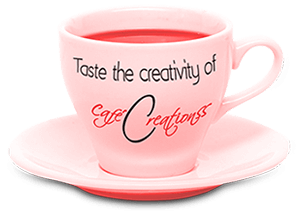 Café Creationss is a creative advertising agency with printing facilities available and is based at Delhi. We provide seamless advertising and brand communication solutions to corporate and businesses. It is a Café of Designs, Concepts and Innovation… where ideas are served. We are a small creative agency and not a big house, as these are two different worlds. We have an edge of working closely with the clients and have an advantage of creating conceptual design work. We provide a range of capabilities within the space of design, creation, strategy and brand management. This is a business place focused on creating and developing brands for ‘Brand Makers’ and ‘Creativity Lovers’. We believe that creation is something you do for love. If we are passionate and committed to create good designs & concepts, then we make money as a by-product, coz people are ready to pay for what is called as ‘Good Design’. We have a strong attentive ear to our client’s desired outcomes. Our focus is on client satisfaction through genuine partnership, good services and smart-innovative solutions. To contribute building a brand and identity is the objective of Café Creationss.